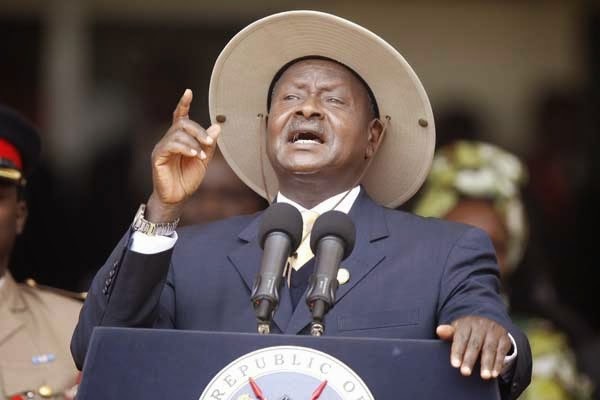 Ugandan President Yoweri Museveni has dropped Amama Mbabazi as prime minister in a Cabinet reshuffle, appointing Dr Ruhakana Rugunda to replace him. Mr Mbabazi, who is the MP for Kinkiizi West, has been the prime minister since June 2011. “President Yoweri Museveni has today with immediate effective sacked Hon Amama Mbabazi as Prime Minister and appointed Dr Ruhakana Rugunda, formerMinister of Health as the new minister,” Ofwono Opondo told the press. Ofwono has said the reschuffle has only affected the Prime Minister’s office, “No other minister has been affected”. In a letter written to the Speaker of the Uganda parliament, Ms Rebecca Kadaga, President Museveni said Dr Rugunda, who was the health minister, would replace Mr Mbabazi. “By virtue of the powers vested in the president of the Republic of Uganda by article 108A(1) of the Constitution of the Republic of Uganda, I have with immediate effect decided to appoint Dr Ruhakana Rugunda as the new Prime Minister of Uganda,” the September 18, 2014 letter reads. “I therefore hereby forward the names and curriculum vitae of Dr Ruhakana Rugunda to you for the required parliamentary approval. I thank the Rt Hon Amama Mbabazi for the contribution he has made to this country,” the letter said. Asked if there are any reasons for the reschuffle, the spokesperson said “The President doesn’t need to give any reason for reschuffling his cabinet”. He said Mbabazi had made an undertaking that if appointed Prime Minister, he would relinquish the office of the General Secretary so that he allows someone to be full time. “Three years down the road, he went back on his word,” Ofwono explained that it could have provocated the decision of the president.